There has rightfully been considerable outrage over this week’s revelations that the Federal government has been sucking up information on virtually every aspect of our lives, email, telephones calls, pictures, credit card and banking transactions, and so on. Unfortunately almost all of this discussion is taking place without a useful sense of the scope, scale, and trajectory of the government’s war on terror. Before getting to the bigger picture within which the present events are occurring, let’s pause on a few of the issues most discussed. 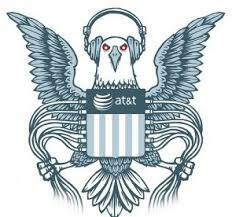 The government claims that in the case of their telephone snooping they are only capturing meta data, the telephone numbers involved, length of connection and location, and that this information does not reveal anything about the content of the communications, therefore this practice is not an invasion of our privacy. This is an absurd argument not worthy of a fifth grader. Telephone numbers are a better identifier of who we are than our names. My telephone number 617-312-8550 has been associated with me for more than a decade. If you Google Mark Orton, even Mark M. Orton, you will find that there are quite a number of people with this name. Which one is me? Google that number and every single search result on the first three pages links directly back to me. Pick up your phone and dial that number and I will either answer or you will hear my voice asking you to leave a voicemail. The distance between my phone number and me is absurdly small. Add to this the location data and the associated location data of my interlocutors and you have a map of my physical location and social connections that is orders of magnitude better than both my memory and my personal calendar. How is this the business of any government? The history of bureaucracies strongly suggests that once they begin to collect information it is nigh on inevitable that it will be used with a high likelihood to serve their interests primarily. The FBI in the 20th century is a prime example of this phenomenon. And though you might object to our country being put in the same sentence with the Soviet Union, China, Eastern Europe under the Soviets, Iraq, and many other countries, the pervasive gathering of information on the activities of private individuals can and does lead to bad outcomes, at least for the individuals and their liberties. The parallels, emerging as they may be, with these totalitarian states are undeniable. One of the most disturbing aspects of the government vacuum cleaner is how it defies every accepted interpretation of the Fourth Amendment right to be free of unreasonable searches and seizures. This amendment arose specifically to provide protection against the government conducting wide ranging searches without specific probable cause to search for specific items or information. The lack of a real judicial process with the specificity required for every other type of search warrant boggles the mind. Is it really true that Obama taught constitutional law at the University of Chicago? Another line taken by apologists has been to point out that companies like Google, Apple, Facebook, really anyone present on the Web, are collecting and analyzing mountains of data about our private behaviours on the Web. This is certainly true. But there are very few similarities between these practices and their impacts and the practices of the government. First, corporate data gathering and analysis is with rare exception well known to everyone. Every widely used Web browser allows one to turn off cookies and other information gathering tools entirely. Companies have policies about how they will use the data and in most cases require your assent before using their services. Second, if one feels abused by corporate behaviour you can always boycott them, organize against them (this has happened repeatedly to Facebook) or sue them.The uses of this information may be annoying in some circumstances, but largely benign. 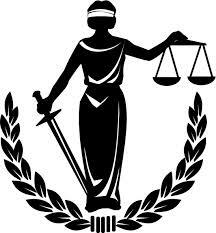 Most significantly no one has ever been hauled into court or sent to jail as a result of these corporate actors. The government’s use of the FISA courts as a shield of legitimacy hardly passes the sniff test. This is an example of Orwellian distortion of language. Here we have secret government processes vetted by a secret government process in an environment in which the very existence of the applications to the court can not even be mentioned. 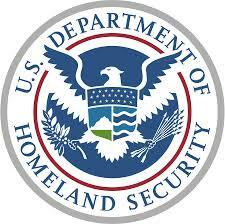 FISA received 1789 electronic surveillance requests in 2012 without denying a single one1 . Talk about powder puff ball. 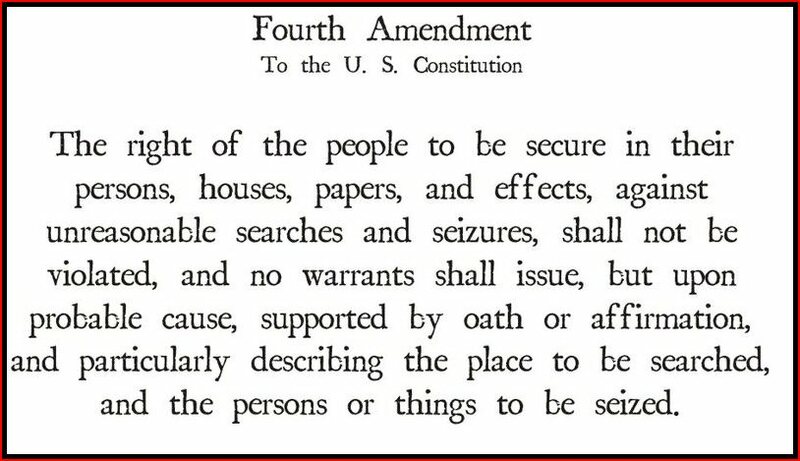 Perhaps this shouldn’t be surprising because unlike your 4th amendment process the government does not have to present evidence of the probable cause necessary for obtaining a search warrant or evidence of actual criminal activity, they just have certify that the target is a foreign power or agent of one. Nor is there any check on the government as in a grand jury where citizens are called on to pass judgement on the veracity of the governments claims. Nor are any of those affected by the FISA court rulings allowed to be present to represent their interests. All of these make these FISA courts unlike any conventional idea of what a court proceeding is about in a democracy. One can only recall the English Star Chamber court of the 17th century. 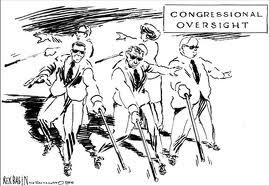 Then we have the President’s assertion that Congress knew all about this and had repeatedly approved of it. One of the cornerstone’s of open democratic government is transparency, the requirement that the public have access and knowledge of the doings of its government. At the local, state and Federal levels this has come to be embodied in the open meeting laws that have become ubiquitous, even the board meetings of the Hudson Area Library are subject to this requirement. Here we have a policy that is secret covered by layers of secrecy that prevented anyone who knew anything about the policy from saying anything about it. So, on the surface the President’s claim is obviously true, but his very assertion shames our sense that he understands what democracy is about. The bigger story here is that since 2001 we have a government engaged in a fool’s enterprise. There is no way at whatever the cost that any government can assure that evil will not occur. Over the time period since 2001 385,0002 Americans died in auto accidents. 340,0003 have died by gun fire. Americans have come to accept these public policy outcomes4 . In contrast, 3,000 Americans have died in the US since 2001 due to terrorist acts. Yet, we have concocted a whole national policy and vast infrastructure devoted to the preventing the next death, though the recent Boston bombing by two brothers with no identified connections to any group outside themselves suggest the inevitable futility of this policy. Meanwhile, we still do not have effective practices in place to prevent a shipping container filled with rogue nuclear materials from entering the US where it might be used as a dirty bomb with truly catastrophic results. It has long been one of my nightmares that a small cargo ship would come to Boston or Port Elizabeth NJ or Los Angeles with such a container. The resulting dirty bomb might eventually kill hundreds of thousands and render large parts of a major city uninhabitable for thousands of years. Here is an article by Valerie Plame Wilson on this scenario, “Nuclear terrorism is most urgent threat. Today only about 80% of the seven million containers entering the US annually are inspected. In 2010 the first large scale state sponsored cyber warfare attack in history occurred. It is widely believed that the US and Israel conducted the Stuxnet (here is a short video about Stuxnet – Patrick Clair’s “Anatomy of a Computer Virus”) attack against Iran’s nuclear industry.5 This only came to light because the cyber virus got loose on the Internet and its orgins were revealed through some sloppy software6 . Stuxnet ended up infecting power plants, nuclear facilities and power grids around the world. Today the US has an entire department at the Pentagon devoted to cyber warfare7 . Yet, we have no effective national policy to drive changes in our industrial and government information and control infrastructure. Do not be surprised if some chemical plant goes haywire somewhere with unpleasant results. Though given the levels of secrecy that abound everywhere in our increasingly opaque society, we may never know the source of the mayhem. Governments have always loved their secrets. In our case the use of secrecy, perpetually explained by the simple phrase “national security”, has reached new heights under President Obama. 15 million documents were classified in 2004, double the number achieved in 2001. 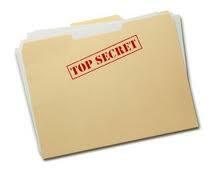 77 million documents were classified in 2010 a 40% increase over the preceding year8 . And, to defend this wall of secrecy the Obama administration has prosecuted more people for leaks than all previous administrations combined. There are certainly situations in which secrecy is justified and required. But transparency is critical to the legitimacy of all organizations, particularly governments. Secrecy is now so pervasive that we can be sure that most of it is unnecessary except for its use to cover up inconvenient truths. This brings us to another part of the bigger story behind the Federal vacuum cleaner, the national security state industrial complex.9 Since 2001 the domestic national security complex has grown into an enormous enterprise. * Some 1,271 government organizations and 1,931 private companies work on programs related to counterterrorism, homeland security and intelligence in about 10,000 locations across the United States. * An estimated 854,000 people, nearly 1.5 times as many people as live in Washington, D.C., hold top-secret security clearances. * In Washington and the surrounding area, 33 building complexes for top-secret intelligence work are under construction or have been built since September 2001. Together they occupy the equivalent of almost three Pentagons or 22 U.S. Capitol buildings – about 17 million square feet of space. * Many security and intelligence agencies do the same work, creating redundancy and waste. For example, 51 federal organizations and military commands, operating in 15 U.S. cities, track the flow of money to and from terrorist networks. * Analysts who make sense of documents and conversations obtained by foreign and domestic spying share their judgment by publishing 50,000 intelligence reports each year – a volume so large that many are routinely ignored. Now that you have read this far I cannot help but leave you with this little example of the continuing growth of our security state aparatus. In Bluffdale Utah, the NSA is building a $2 billion 1 million sq. 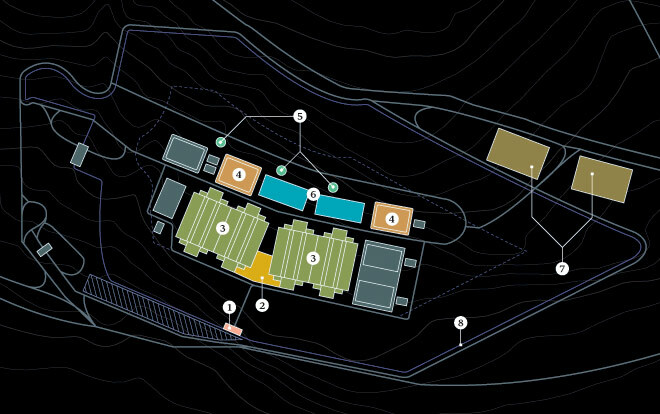 ft. complex to store data and conduct super computer experiments to break encryption codes.12 The size of the data storage is measured in yottabytes (1024). A yottabyte is 1,000,000 exabytes. The total traffic on the Internet is projected to reach 996 exabytes by 2015. So, a yottabyte is a large number. More significant perhaps is that the NSA is buidling secret super computers with the goal of breaking today’s highest level encryption codes. So, it is likely that the fact that you have accessed this page on the Web is now, or will shortly in the future, place you in a data mine in Utah.